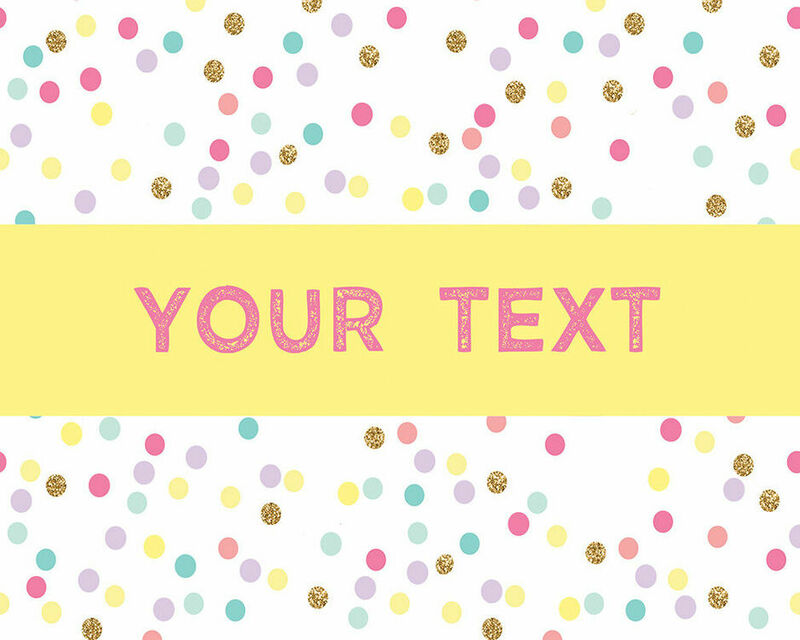 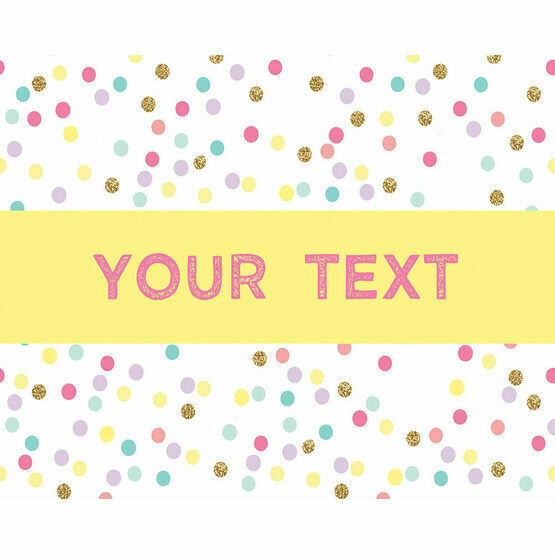 Simple but effective, this Pastel Confetti party sign can be used for pretty much anything, whether it's welcoming guests, leading the way to the party games or signposting the food! 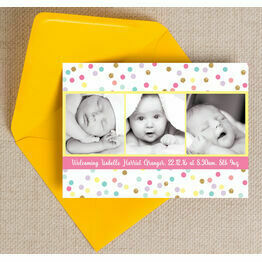 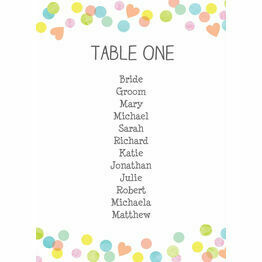 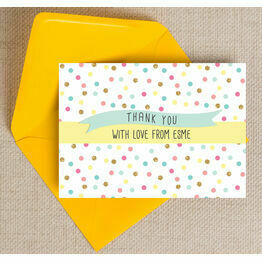 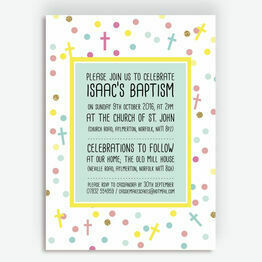 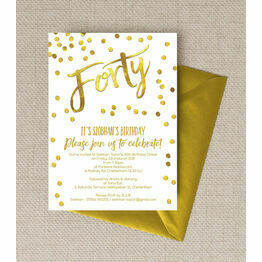 With soft pastel colours and a yellow banner, this design complements lots of different celebration themes. 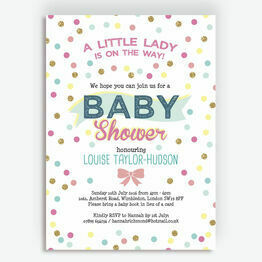 Customise online for an instant digital PDF which you can print yourself, or take the stress out of your party planning and let us print them for you for the ultimate professional finish. 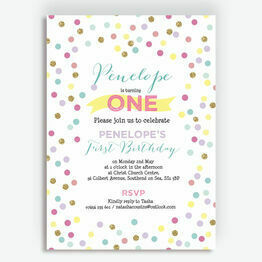 I just wanted to say a massive thank you, not only for a great product (everyone we've given invites to so far has been so complimentary and said they are just perfect for us and our wedding!) but also for truly brilliant service. 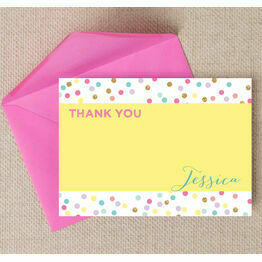 We will definitely be recommending you and thinking of you for future events!